The Berkshire Enclosed Gas Fire Pit by Hanamint makes bonfires easy to manage: all it takes is the flick of an on/off switch. The outdoor fireplace runs on propane or natural gas, whichever you prefer, so that you won’t spend quality time chopping wood, gathering kindling, building the fire or putting it out when you’re ready to head inside for the evening. The bed of Diamond Glass Fire Gems don't burn, melt, pop or give off pollutants. This means, you'll trade the traditional fear of stray embers, rotation of dodging smoke and the hassle of cleaning up soot for a clean, exciting, low-maintenance elegance. 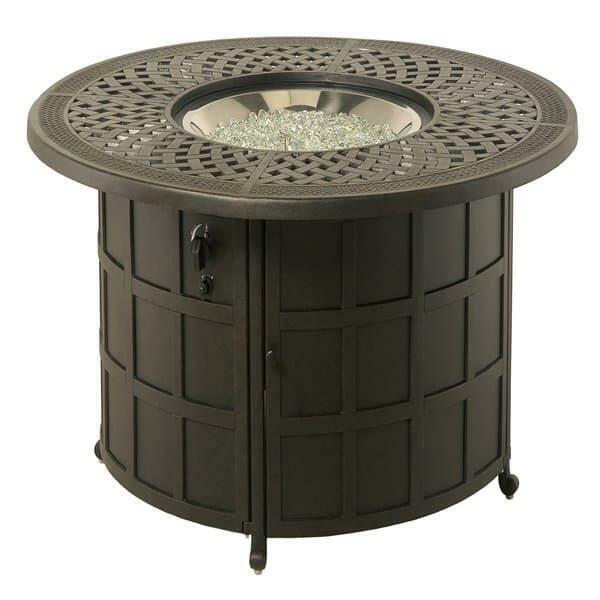 The presence of a unique burning outdoor fire pit boosts the aesthetics of your outdoor space and creates a more appealing setting to spend time. And, the effective 60,000 BTU heating element adds extra months of use to your patio.